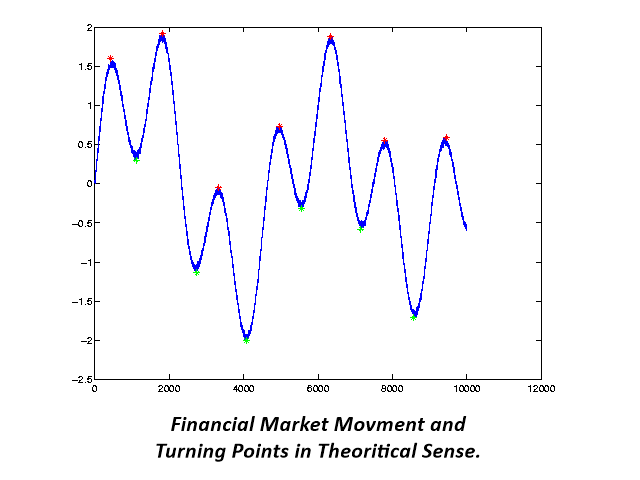 The trajectories of Financial Market movement are very much like the polynomial curvatures with the presence of random fluctuations. It is quite common to read that scientist can decompose the financial data into many different cyclic components. If or any if the financial market possess at least one cycle, then the turning point must be present for that financial market data. 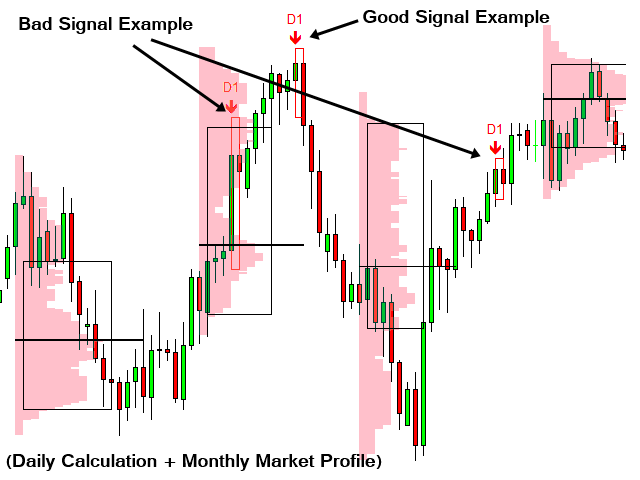 With this assumption, most of financial market data should possesses the multiple of turning points because they consists of many cyclic components typically. 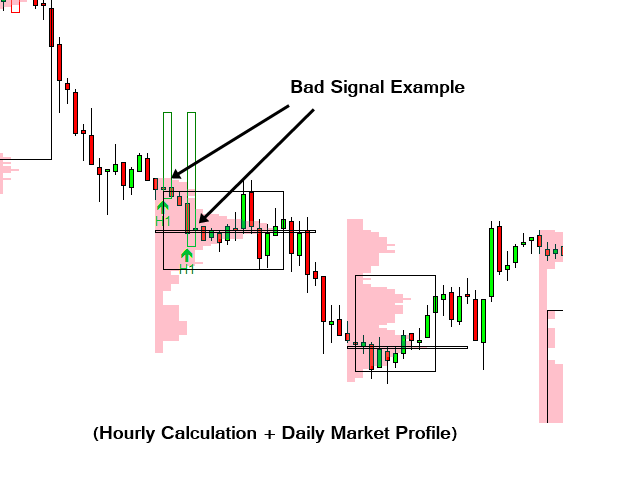 Detection of turning points are extremely useful for all levels of traders and investors even though it is equally difficult to task to achieve too. Here, we present the useful turning point detector not bullet proof but with reasonable accuracy for traders and investors. TimeFrameCalculation: Timeframe to perform abnormal movement detection. DetectionMethod: There are three detection methods you can choose. AnalyzingPeriod: 13 is the default settings. Most of time, default setting works fine. 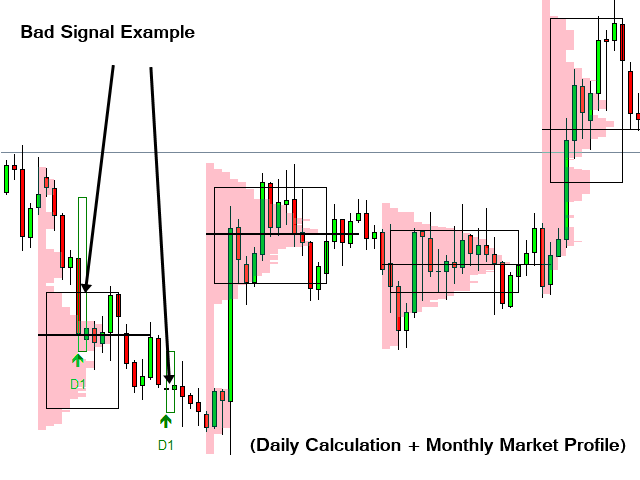 MinDeviationInPips (=Minimum Deviation in Pips): this is the minimum condition to be qualified for abnormal condition. Typically, it is good to use one standard deviation of that currency pairs. 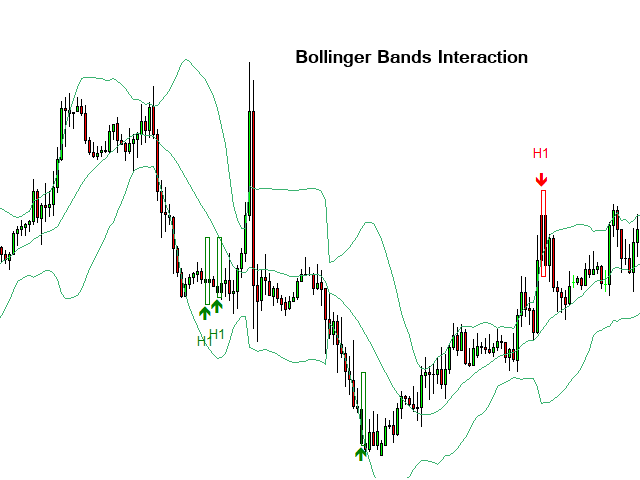 Bollinger bands are one of the standard technical indicator for free of charge. You can apply our turning point detector universally to any market data. 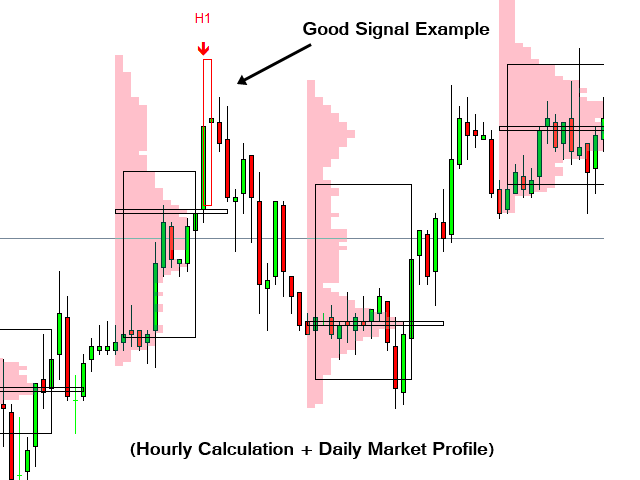 You might use the default setting for minimum deviation in pips. 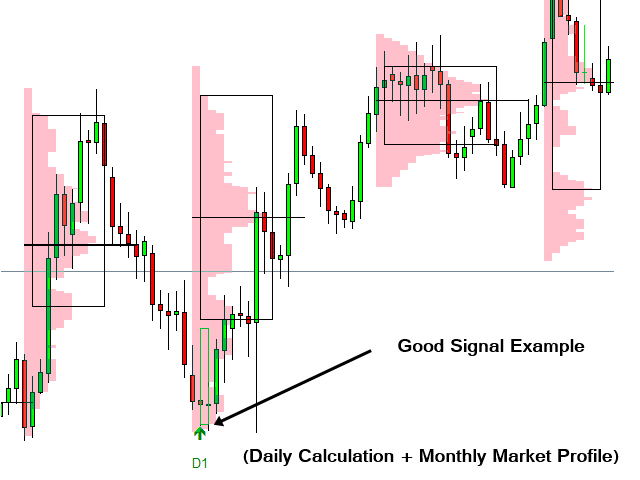 According to our experience, you can set sensible number for minimum deviation in pips such as one standard deviation or some commonly used values. For example, 20 pips (MinDeviationInPips) works well for major currency pairs in H1 timeframe. Detected abnormal movement is good sign of turning point. However, we recommend using it when the arrow appears reasonably outside the range. 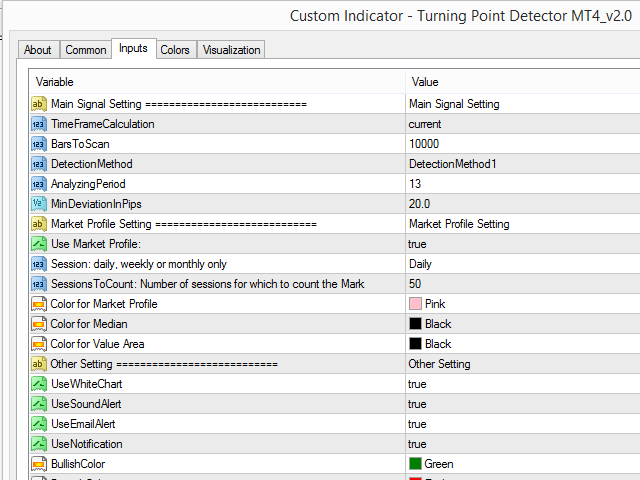 Also you might use several turning point detector with several time frame to one chart. 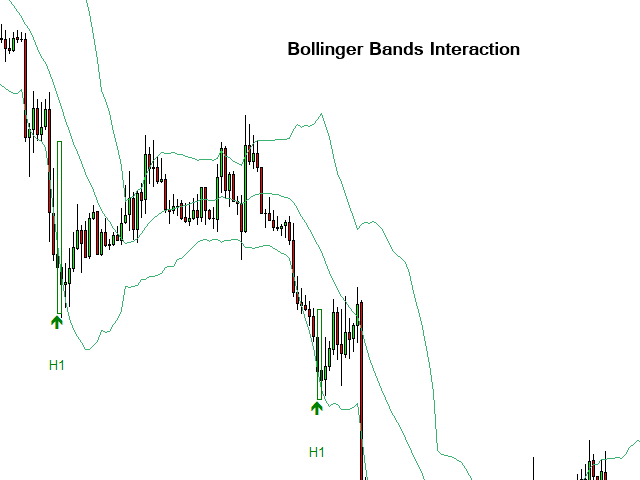 For example, you can apply our Turning Point Detector in H1 and D1 timeframe to one chart. 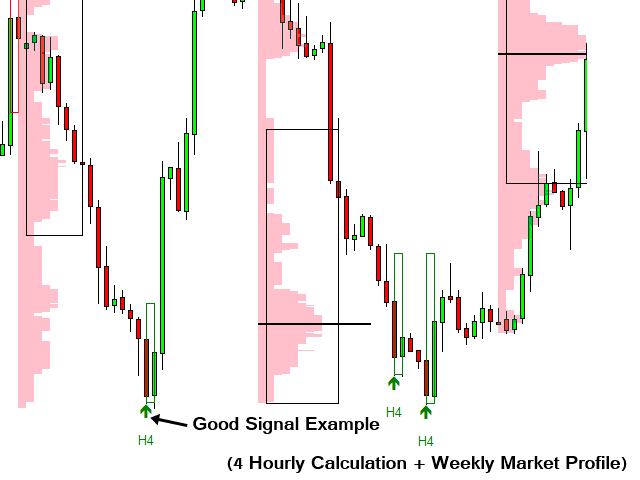 When you use multiple timeframe calculation, you must use sensible timeframe for Market profile too. Thank you for this excellent indicator. Excellent tool for setting up my take profit target.